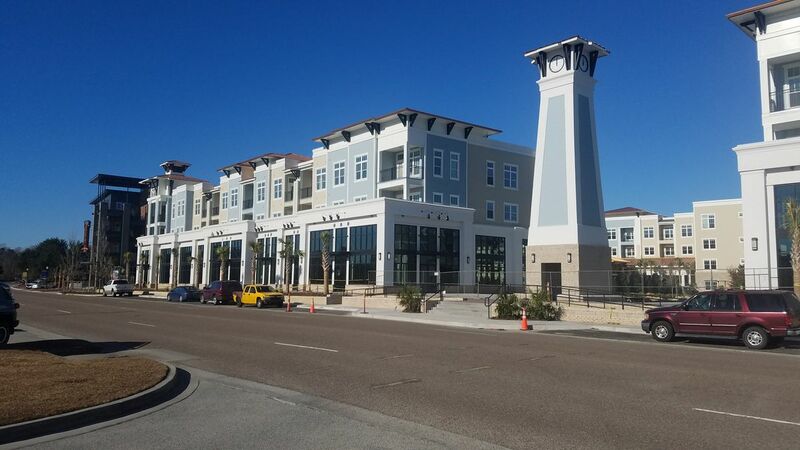 Central Island Square on Daniel Island is completed and contains 317 luxury apartment units and 28,716 SF of street front retail showcasing wide sidewalks and a large central courtyard. 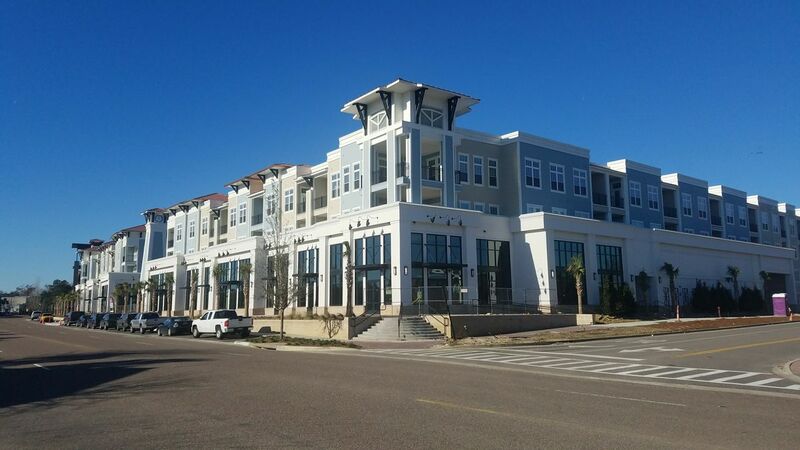 Located at 864 & 866 Island Park Drive across the street from the Publix anchored shopping center in the heart of the high end demographic market of Daniel Island the retail space will include a two story street front presence with tall facades large signage areas and the chance for spacious outdoor dining. 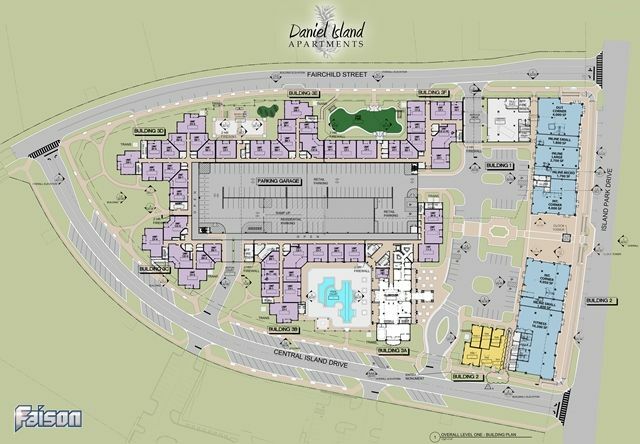 Given that Central Island Square is centrally located in the Downtown district of Daniel Island everyone who either lives or works on Daniel Island will drive directly in front of or within direct visibility of the storefronts. The new streets of Central Island Drive and the Fairchild extension from River Landing Drive will create a new funnel to the entrance ramps of I-526 which will direct a large amount of traffic to the building corners at Island Park Drive. 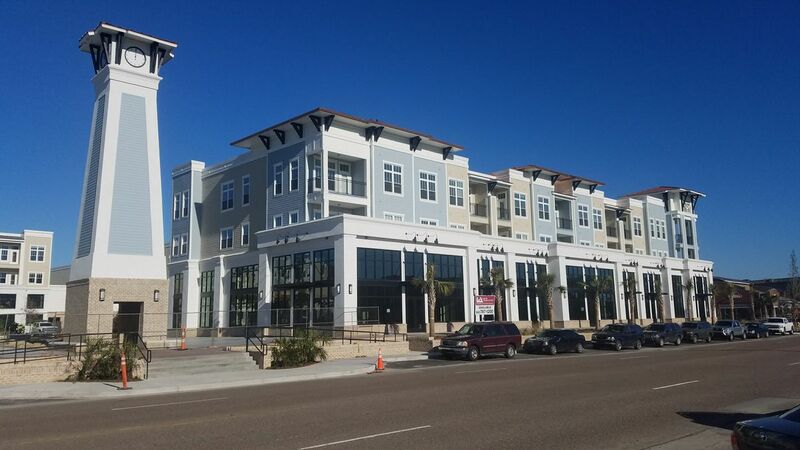 Spaces remaining vary in size from 2,464 SF to 4,681 SF. Interior build-outs provided by the Landlord will be cold dark shells. Landlord will provide $40.00 psf toward Tenant improvements. Restaurant spaces will have a pre-installed grease trap. 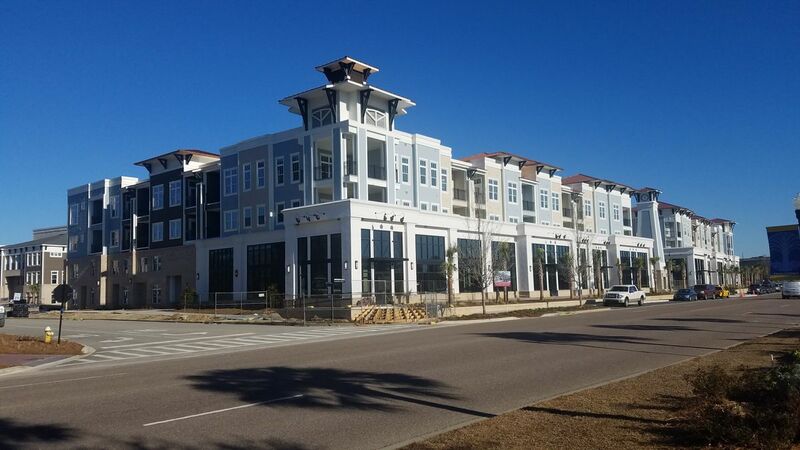 Directions: Follow I-526 E to Exit 24 and continue to Island Park Drive. 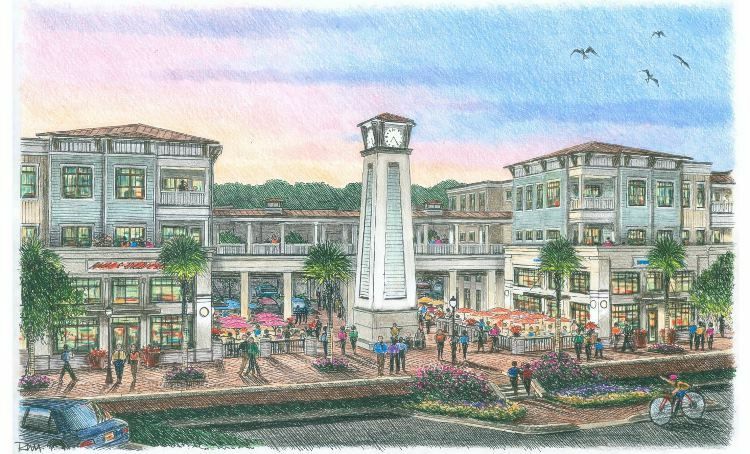 Central Island Square will be the large construction project across from Publix.